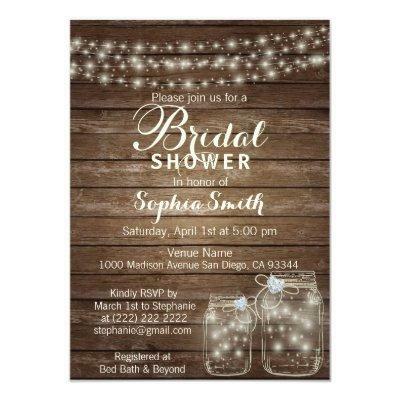 How lovely are these rustic twinkle string lights with mason jars bridal shower invitations. Elegant, country, outdoor theme with lovely topography letters. Mason jars have faux diamond hearts. Editable template - very easy to add your information. Back of Card has FUTURE Mrs. Name. Get matching stickers!